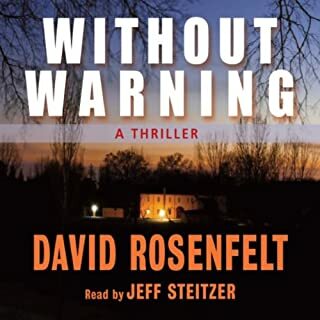 In David Rosenfelt's latest thriller, Jamie Wagner must free a convicted murderer so that she can save her dying daughter - by taking her own life. Jamie Wagner is a young lawyer who is happy to be flying under the radar at a large firm, doing background research for the partners. It's not that he isn't smart. He is. It's just that hard work, the whole legal world, isn't really his thing. Underachiever? Yes. Content? At least until the firm puts him on a case that turns his whole world upside down. Sheryl Harrison has served four years of a 30-year sentence for killing her husband, whom she claims abused her and her daughter, Karen. The case is settled. There shouldn't be anything for Jamie to do - except Karen is sick. She has a congenital heart defect and will die without a transplant, and her rare blood type makes the chance of finding a matching donor remote. Sheryl wants to be that donor, and Jamie is in way over his head. Suicide, no matter what the motive, is illegal, and Sheryl is put on suicide watch. Jamie's only shot at helping Sheryl and saving Karen is to reopen the murder case, prove Sheryl's innocence, and get her freed, so that she can pursue her plan on her own. David Rosenfelt, a native of Paterson, New Jersey, is a graduate of NYU. He was the former marketing president for Tri-Star Pictures before becoming a writer of novels and screenplays. He currently lives in Southern California with his wife and 35 dogs. Tadd Morgan is an actor, dancer and musician holding a bachelor of arts degree in Improvisational Performance Structures from Bennington College. He has been performing in his native Seattle for the past five years. ©2012 David Rosenfelt (P)2012 Listen & Live Audio, Inc.
To say the story is sappy is an understatement. There's some of the Rosenfelt we love, bit it misses. Maybe he just put his name on it. Don't know. This is not one you'll want to read. This book begins with an interesting ethical dilemma that is carried throughout the book. I loved the storyline and where Mr. Rosenfelt took it. There were enough twists and turns that it kept me guessing all the way through and I didn't predict the ending at all. My very minor complaint would be that the narrator tried a little too hard to differentiate all the character voices, and it wasn't always successful. This is a great summer read! What didn’t you like about Tadd Morgan’s performance? Everything. The main character and MAYBE one other sounded normal. Was he using a voice synthesizer set to alien life forms? My Kindle could have read it better. I love Rosenfelt's Andy Carpenter series. Funny, irreverent, well-read by Grover Gardner. This book, however, which strays from the Carpenter series, is little better than a bad romance novel. The plot is sappy and unbelievable (why do authors insist that out-of-their-league lawyers can pull off the impossible? ), and I couldn't wait for it to end. Where does Heart of a Killer rank among all the audiobooks you’ve listened to so far? 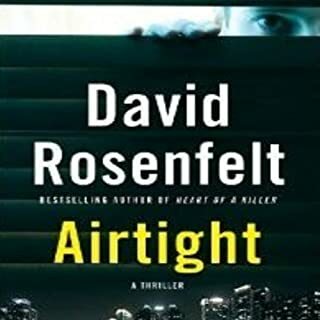 David Rosenfelt is one of my favorite authors. His books are always good. The problem with this book wasn't the story line, it was the narrator. His normal voice was ok, but when he tried to change his voice to sound like other characters in the book, I felt like I was listening to cartoons or some kids show. None of them were believable and it bothered me at times. Kind of spoiled the story. It was like listening to a really suspenseful radio show and suddenly the detective speaks and its Sponge Bob. But I love David Rosenfelt and would still buy his books. Just hope he uses another narrator next time. Would you give your heart to the one you love? Great story from a brilliant author! 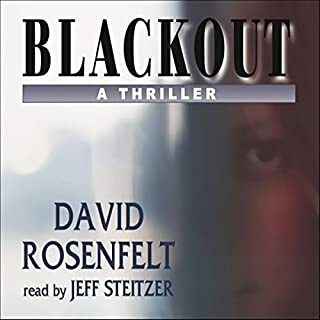 I have listened and loved David Rosenfelt's Andy Carpenter series. After listening to all of those, and the absolutely fantastic, "Dogtripping" audio book, I found this book. I highly recommend it, as well as the Andy Carpenter series. And please listen or read "Dogtripping" if you love dogs. Heart of a Killer was a letdown. The main character, Jamie, was a rookie lawyer in WAY over his head. 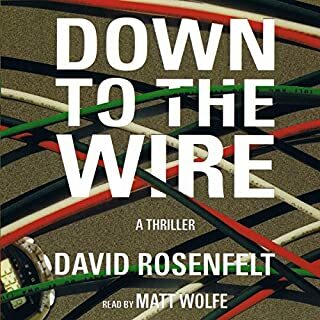 The storyline was unbelievable, far-fetched and disappointing coming come David Rosenfelt's. Don't waste your money or time on this one. Don't waste your time or your money!! No one that I know!! A well written suspense novel with a talented narrator. He read it like he was reading a term paper. He demonstrated no performance talent whatsoever. Absolutely none whatsoever. I will be returning this one to Audible. The title and the first couple of chapters were pretty good. Then the story just fell apart. No character development. Absolutely bizarre story line. I gave up on it about half way through. 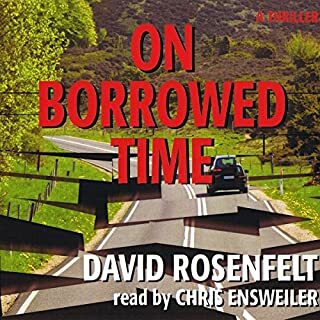 Would you ever listen to anything by David Rosenfelt again? 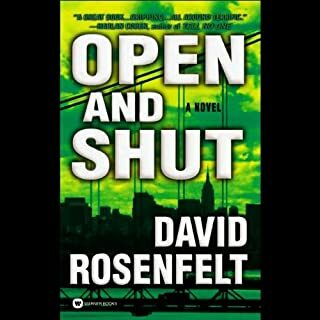 I look forward to the next David Rosenfelt book of the Andy Carpenter series. In contrast to the subtlety of a narrator like Grover Gardner, this narrator caricatures the voices of different characters in a heavyhanded and annoying manner. 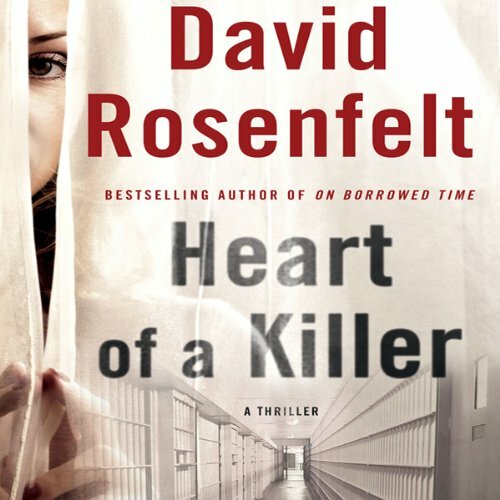 Do you think Heart of a Killer needs a follow-up book? Why or why not? It has a Maine flavor to it. Yes, I like the way David writes and his sense of humor helps carry the book. I hope that David goes back to his old neghborhood in his next book. But I am sure what ever David writes I will enjoy. Just some better that others..